This personalized classic charm bracelet will shower your little girl with endless compliments on her big day! 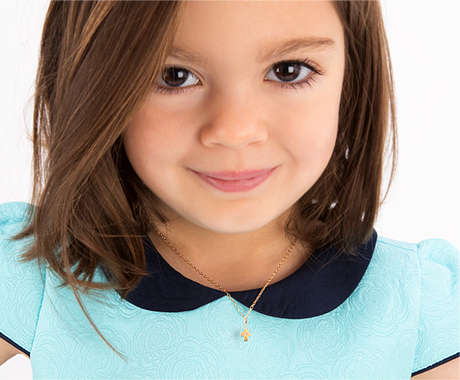 Featuring her beautiful name, initial, or monogram makes this such a meaningful First Communion gift. Your little angel can continue adding darling charms, embellishing her bracelet with personality and countless memories. Made with the finest materials, this durable kid's bracelet is sure to bring her joy for years to come.